The urgent and ubiquitous call for White, middle class female teachers of immigrant students and families who are well versed in the strengths and struggles of this vulnerable population is one to which teacher education programs must respond with fervor. 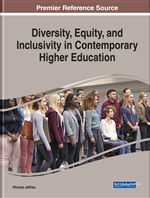 In a profession largely dominated by White, middle class mainstream females who work with children and families representing a wide variety of ethnicities, religions, sexualities, family structures, socioeconomic statuses, etc., it is imperative that higher education courses specifically prepare educators to empower, support, and learn from and with immigrant families. In this chapter, the authors share a study that examines the reactions of pre-service teachers to a teaching strategy that required their face-to-face interactions with Spanish-only speaking immigrant families. The pre-service teachers listened to the stories and authentic experiences shared by the English learner (EL) families and participated in a simulation activity with the families. Findings indicate that through their participation in the strategy, pre-service teachers experienced changes in their thinking about themselves and the children and families with whom they will one day work. Findings also suggest that after participating in the strategy, pre-service teachers began thinking differently with regards to their understanding of and preparedness for their future careers. Recognizing the importance of home-school partnerships and our country’s growing population of immigrant children and their families (NCES, 2017), many pre-service teacher preparation programs have heeded the call to include coursework that aims to support future educators in successfully working with families. Such coursework is most frequently comprised of required readings, discussions, and assignments designed to strengthen pre-service teachers’ growing understandings about building respectful and meaningful relationships with all families (Adams, Bell & Griffin, 2007; Melnick & Zeichner, 1998). In this chapter, we share our research study grounded in the belief that while course readings are beneficial, these widely utilized teaching resources, often fall short of making the experiences and perspectives of immigrant families real for pre-service teachers. As instructors of a teacher education course that focuses on home-school-community partnerships, we aim to provide our pre-service teachers rich, authentic experiences with families of children with special needs, families living in poverty, military families and families who are immigrant. While the course emphasizes building partnerships with a wide variety of families, this chapter describes our study that specifically focuses on building relationships with families who immigrated to the United States. Our decision to concentrate on these particular families stemmed from our realization that assigned readings describing the varied contexts, situations, and beliefs of immigrant families often fail to truly communicate the rich complexities and multi-dimensional layers that make up the entirety of immigrant families’ cultures (Norris, 2011). From our experiences, reading literature about immigrant families may pivot pre-service teachers’ thinking along a single axis, rather than providing the more dynamic, transformational opportunity that we, as higher education instructors, aim to offer. In an effort to address this challenge, our study seeks to explore what happens when, in addition to course readings, local, immigrant, English Learner (EL) families serve as a course resource, directly interacting and sharing their personal stories with pre-service teachers. We asked the following question: What can be learned when pre-service teachers listen to the stories of and interact with immigrant EL families? In this chapter, we will: (a) provide a review of literature that grounds our work; (b) detail the methodology used for our study; (c) discuss findings, and; (d) describe implications of our work for pre-service educators and programs.